SpaceX’s CCtCap contract initially included 18 milestones. During the first year of the contract, SpaceX and NASA agreed to separate SpaceX’s Propulsion Module Testing and Critical Design Review into multiple segments, which increased the total milestones to 21. 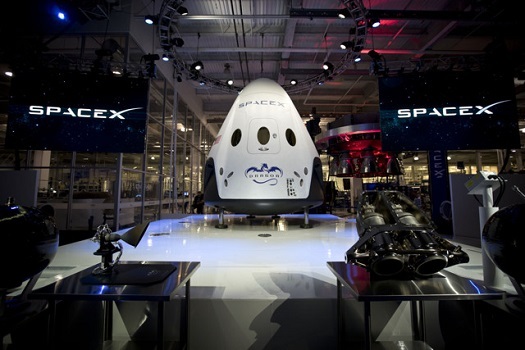 As of June 2016, SpaceX had completed eight milestones (38 percent), five less than planned under the original schedule, and received $469 million (18 percent) of the total contract value. SpaceX remains optimistic about its ability to meet the contract schedule and continues to work toward late 2017 for its first certified crewed mission. Notwithstanding the contractors’ optimism, based on the information we gathered during our audit, we believe it unlikely that either Boeing or SpaceX will achieve certified, crewed flight to the ISS until late 2018. Editor’s Note: SpaceX also has a milestone left over from its earlier Commercial Crew Integrated Capability (CCiCap) contract. Upcoming completion dates in the table below reflect SpaceX’s most current expectation as of June 2016. 4 Validation Propulsion Module Testing Complete. Split milestone from Initial Propulsion Module Testing Complete. 11 Flight Test Without Crew Certification Review. A review to certify the design and safety of the flight to the ISS without crew; complete all requirements for the Dragon-Falcon 9 Crew Vehicle, ground segment, and mission operation elements in preparation for a mission to the ISS without crew. 16 Launch Site Operational Readiness Review for Crew. A review to demonstrate the readiness of the launch complex crew ingress/egress system to show that the system meets all requirements with acceptable risk. 18 Flight Test Readiness Review. A review to demonstrate readiness to conduct a crewed flight test and defines a risk baseline for crewed flight test activities. 19 Flight to ISS with Crew. Conduct a second test flight of the crew system, this time with crew, to provide an early demonstration and risk reduction of the system for operational missions. Source: NASA Office of Inspector General analysis of SpaceX completed and upcoming contract milestones. “9	Propulsive Land Landing Test Complete.” ? That is just the name. They have not done it yet. When they do it will be complete. It is only a rocket softened touch down instead of airbags. Just like Soyuz. Yes but Soyuz is kinda tiny, can’t carry much back, and its airbags can’t be used to abort the flight and carry the occupants to safety. So kind of a much better spacecraft when they can get it ready. Of course. The airbags I was referring too was CST-100. I think cargo Dragon could set down lightly using the small thrusters it has. Or perhaps the drop down type of Mercury. I think that may have been a curtain. Trap air inside. Might not work side ways though. Yes, it was the word “Complete” that was confusing me. Is it that NASA don’t yet trust propulsive landings, so the half-and-half approach is SpaceX’s compromise to get away from water landings asap?. Or is it that SpaceX don’t feel they’ll have the time to prove-out pure propulsive touchdown during the development program timeline?. It is amazing how slow it seems like both Boeing and spacex are at this. Yet, from those that are working on it, they probably feel overworked. I don’t think their engineers are getting much sleep. But that’s par for the course for SpaceX anyway. I think it’s easy to forget that building a manned orbital spaceship is no easy matter, even in 2016.